Steven C. Dixon has served as the CEO and Chairman of the Board of Directors of Tapstone Energy, LLC since December 2016. Mr. Dixon has more than 37 years of experience in the oil and natural gas industry. Prior to joining Tapstone, Mr. Dixon served in various roles for Chesapeake Energy Corporation, including acting CEO, Executive Vice President – Operations and Geosciences and COO, Executive Vice President – Operations and COO, Senior Vice President – Production and Vice President – Exploration. He holds a Bachelor of Science degree in Geology from the University of Kansas. He served as a member of the Board of Directors for Rice Energy Inc. and is a member of the Society of Petroleum Engineers, the American Association of Petroleum Geologists and the Advisory Board to the University of Kansas. John J. Kilgallon joined Tapstone Energy, LLC in May 2017 as Vice President – Investor Relations and Corporate Affairs. Mr. Kilgallon was named Senior Vice President and Chief Financial Officer in August 2018. Mr. Kilgallon has over 15 years of Finance, Accounting and transactional experience in the upstream oil and natural gas industry. Prior to joining Tapstone, Mr. Kilgallon was the Director of Private Equity Investment Management for Black Oak Partners. He served as Vice President – Investor Relations of Continental Resources from 2013 to 2015. From 2009 to 2013, Mr. Kilgallon was Senior Director – Investor Relations and Research at Chesapeake Energy Corporation. Mr. Kilgallon started his career in the energy industry with Kerr-McGee Corporation in 2003. 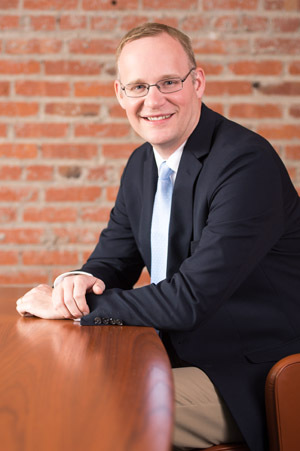 Mr. Kilgallon holds a MBA in Corporate Finance from Oklahoma City University and an Bachelor of Science of Business Administration in Finance from Oklahoma State University. He serves on the Oklahoma State University Spears School of Business Alumni Advisory Board and mentor program. Charles Duginski joined Tapstone Energy, LLC as Senior Vice President and COO in February 2017. Mr. Duginski was appointed to the Board of Directors of Tapstone Energy, LLC, in January 2019. Mr. Duginski has more than 24 years of experience in the oil and natural gas industry. Prior to joining Tapstone, he served as COO of Echo Energy. From October 2013 to June 2016, Mr. Duginski served as Vice President – Southern Region Production of Continental Resources, Inc., where he had both operational and technical responsibility for completion and production of wells in the southern region, including the SCOOP and STACK plays. Before his time at Continental, Mr. Duginski held various positions at Chesapeake Energy Corporation, including District Manager – Haynesville, then Vice President – Haynesville/Barnett Business Unit. Mr. Duginski holds a Bachelor of Science in Mechanical Engineering from the University of Oklahoma. Robert P. Costello has served as General Counsel and Vice President – Land of Tapstone Energy, LLC since November 2013. Mr. Costello has more than 37 years of experience in the oil and natural gas industry. Prior to joining Tapstone, Mr. Costello was Division Counsel – Mid-Continent, responsible for the legal affairs of land and operations at Chesapeake Energy Corporation. 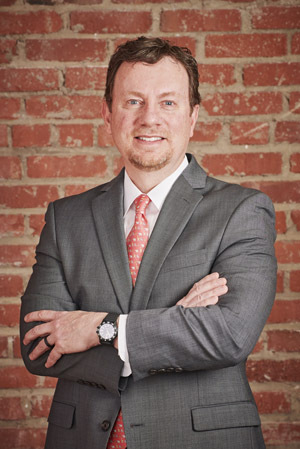 Prior to Chesapeake, Mr. Costello was in the private practice of law in Oklahoma City focused primarily on oil and gas litigation and transactions representing various larger operators in Oklahoma. 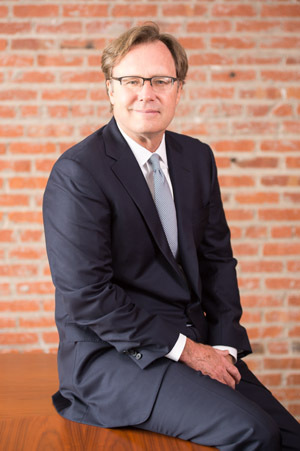 In his years prior to his graduation from the University of Tulsa Law School, Mr. Costello was a landman with Getty Oil Company, and with AMR Energy Corp. He graduated from the University of Oklahoma in 1981 with a Bachelor of Business Administration in Petroleum Land Management. Mr. Costello is currently an Adjunct Professor of Law at Oklahoma City University School of Law. He serves as a member the Board of Directors of OKOGA-OIPA. Sabreena Coleman joined Tapstone Energy, LLC in May 2017 as the Vice President – Human Resources. Ms. Coleman has more than 21 years of Human Resources experience with 12 years of experience in the oil and natural gas industry. Prior to joining Tapstone, Ms. Coleman served as the Director of Benefits for Sandridge Energy, Inc. from May 2014 – November 2016. She served in various roles at Chesapeake Energy Corporation from October 2007 – April 2014, including Senior Director – HR Compliance, and Employee Relations and Compliance Manager. Ms. Coleman holds a Senior Professional in Human Resources Certification and is a member of the Society of Human Resource Management. Ms. Coleman received a Bachelor of Accounting Degree from the University of Oklahoma. Paul Hagemeier joined Tapstone Energy, LLC in February of 2017 as Vice President and Chief Compliance Officer. Mr. Hagemeier has more than 35 years of experience in the oil and natural gas industry. Prior to joining Tapstone, Mr. Hagemeier served as Vice President of Regulatory Compliance for Chesapeake Energy Corporation. Mr. Hagemeier served as chair of the Operations and Environment Research Committee for the Department of Energy and National Petroleum Council. Mr Hagemeier holds a Bachelor of Science degree in Geology from the University of Arkansas. Josh M. Kerbo joined Tapstone Energy, LLC in March 2014 and serves as the Vice President – Accounting and Controller. Mr. Kerbo has over 10 years of finance and accounting experience in the oil and natural gas industry. Prior to joining Tapstone, Mr. Kerbo held various management positions from 2009 to 2014, including Accounting Manager at SandRidge Energy, Inc. From 2007 to 2009, he served as Division Controller at Diamondback Energy Services. Mr. Kerbo started his career in 2000 at Dobson Communications Corporation where he oversaw various Financial Reporting and Accounting functions. Mr. Kerbo holds a Bachelor of Science in Accounting from Oklahoma State University. Patrick S. McBride joined Tapstone Energy, LLC in April of 2017 as the Vice President – Geoscience. Before joining Tapstone, Mr. McBride served for seven years in various management and technical roles at Chesapeake Energy Corporation. Mr. McBride started his career in the oil and natural gas industry as a Geologist at Dominion E&P, Occidental Oil & Gas, and Unocal 76. Mr. McBride holds a Bachelor of Science in Geology and a Master of Science in Geology, both from West Virginia University. Rich McClanahan joined Tapstone Energy, LLC in April 2018 as Vice President – Operations. Prior to joining Tapstone, Mr. McClanahan served as Vice President of Completions at Chesapeake Energy Corporation. Mr. McClanahan held various managerial, engineering and field positions at Devon Energy, Kerr-McGee Corporation, Deminex and Trigg Drilling Company during his career. Mr. McClanahan holds a Bachelor of Science in Petroleum Engineering Technology from Oklahoma State University and is a member of the Society of Petroleum Engineers.